You'll love this season's Rio print , a fabulous small Geometric type print in Blues , white and black. 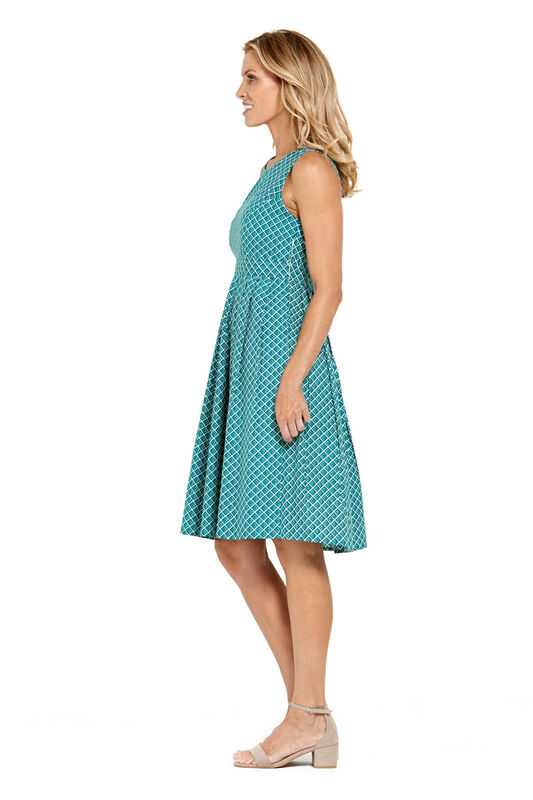 This dress is a timeless 50’s favourite, so flattering and easy to wear, with darting on the bust for a perfect fit. The A-line, generously sized pleated skirt glides over the hips creating a flared look and is a flattering mid length. 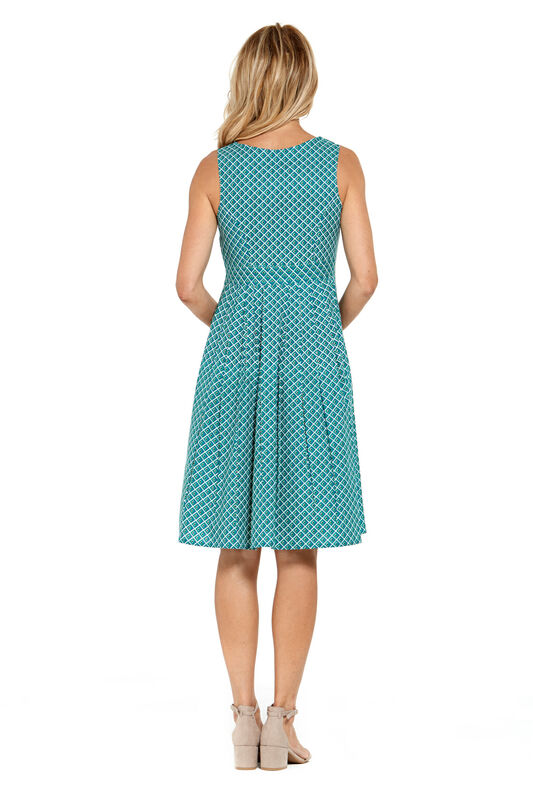 The Rasaleela Jude 50’s dress is also fabulous for trans-season wear, as teamed with a cardi creates a classic look. In the cooler months the Jude dress looks fantastic with tights and boots.